← Just a vegetarian, living in a carnivore world. Today I did a brick workout of sorts and lemme just say, it was no joke. I biked about 5 miles to a trail, hopped off of my bike and ran a little over 3 miles, hopped back on my bike and rode the 5 back home. My legs felt like absolute jello when I started to run, but I just slowed my pace a bit and the jello feeling wore off in a few minutes. Of course, just when I was finishing my run it started to rain, which normally I LOVE. But thats when its warm. But this morning it was about 40 degrees. Uh, gross. 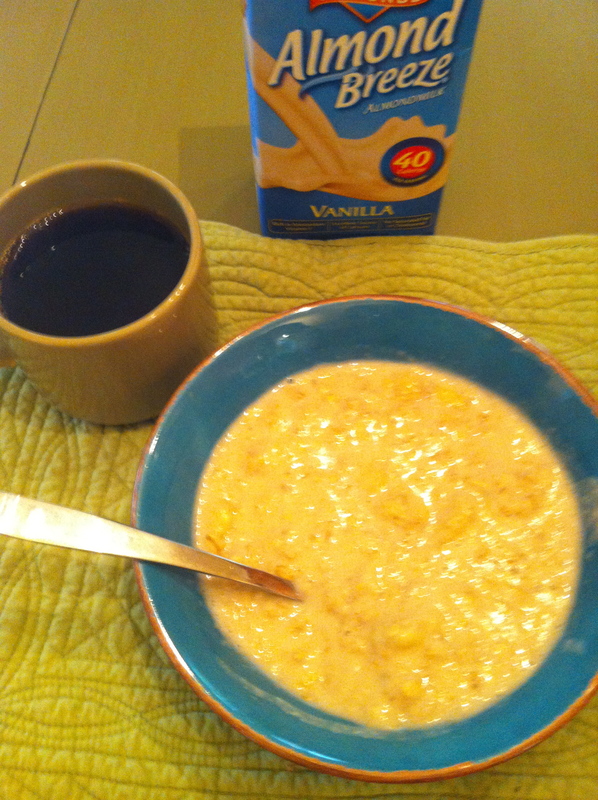 Banana oats. Not asthetically pleasing, but neva gets old. All the time I read about people who wake up and go to the gym and do some killer workouts, but I cannot do that. I HAVE to have food in my stomach for energy to power through it. Luckily its summa time so I can wake up at around 7, make and enjoy a leisurely breakfast with coffee while perusing blogs and then head out the door. 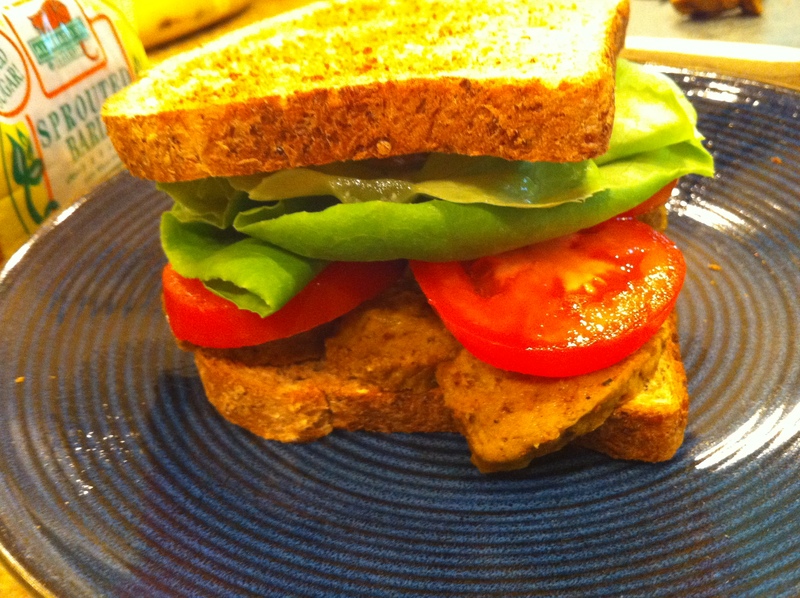 For lunch I DESTROYED a seitan sandwich made with Alvarado Street Bakery Sprouted Barley bread (aka the King of all store bought breads), homemade Indian spiced seitan, a spread of goat cheese, and topped with some veg action. Hand held perfection, baby. Look at the height on that phenom 'wich. I also had some greek yog and cashews with this beaut. Now I’m off to do some much needed grocery shopping among some other errands. Down to my last two bananas and I can almost see the bottom of my oatmeal container?! I’m cutting it way too close..
Have you ever done a brick workout? Obviously I have, made me feel like superman when I was done. Ahh endorphins. What are two food items that you cannot live without? I really don’t know what I’d do without my bananas, oatmeal and cashews.